Japan’s Prime Minister Abe Shinzo has just released his statement on the 70th anniversary of the end of World War II. The cabinet office released an official English translation of this statement at the same time. I think quite a few of us working between Japanese and English will be interested to see how the translation dealt with the key words and phrases of this much anticipated statement, so I thought I’d pick them out for copmarison. With deep repentance for the war, Japan made that pledge. 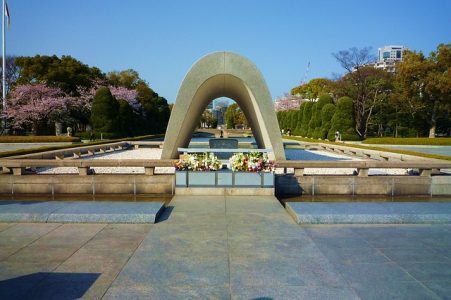 Japan has repeatedly expressed the feelings of deep remorse and heartfelt apology for its actions during the war. In Japan, the postwar generations now exceed eighty per cent of its population. We must not let our children, grandchildren, and even further generations to come, who have nothing to do with that war, be predestined to apologize. Looking at the original Japanese text, it’s clear that Abe was keenly aware of the media focus on the key words; he made sure that they were all there. Another thing he obviously paid a lot of attention to, however, was that the none of these key words should appear as his own words or statements of intent, with crafty use of subjects and contextual caveats. This must have presented a major headache to the translator(s?) tasked with the production of the English version. I feel that, in places, the translator admitted defeat and opted for more clarity. I’d be very interested to hear what other Japanese/English translators think of this effort.